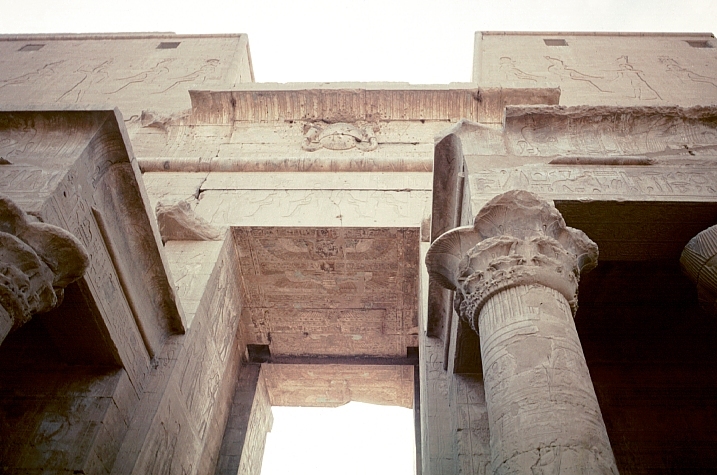 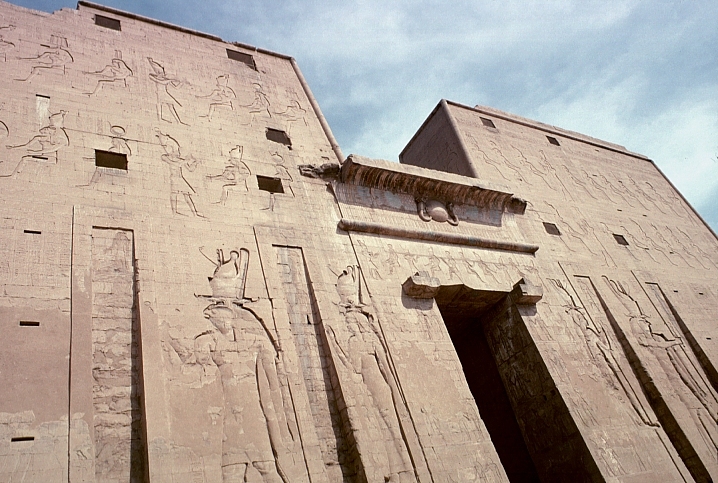 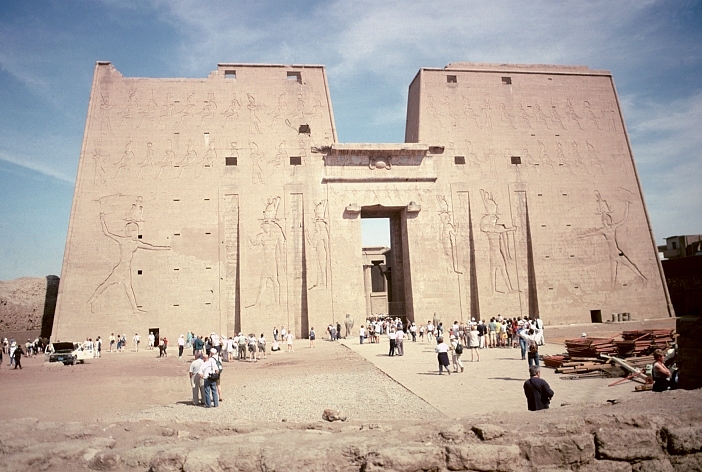 Located on the west bank of the Nile, Edfu is at a midway point between Luxor and Aswan. 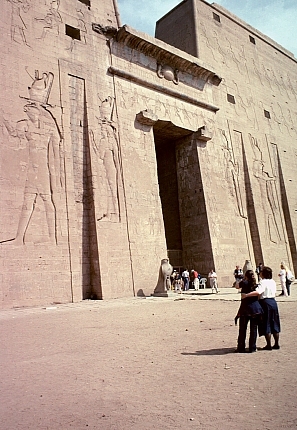 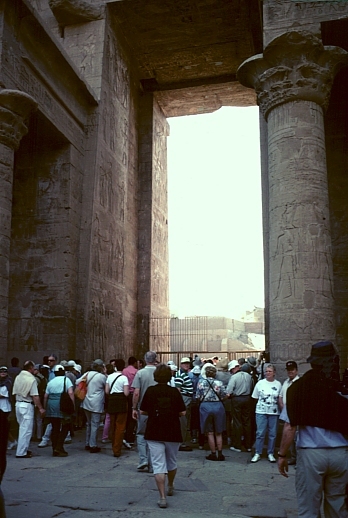 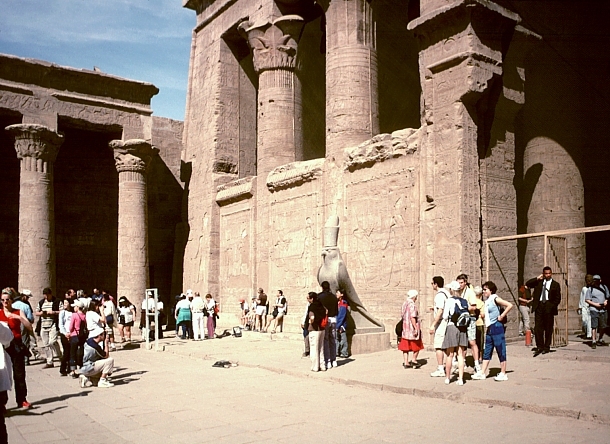 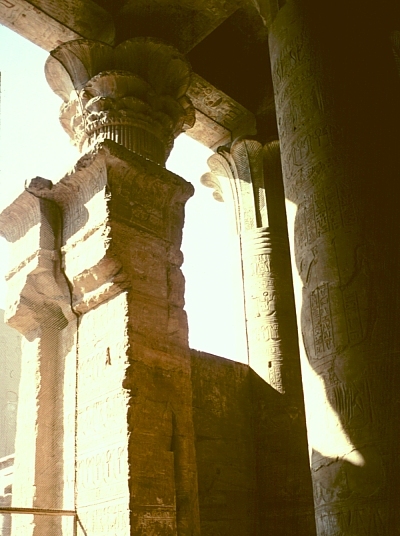 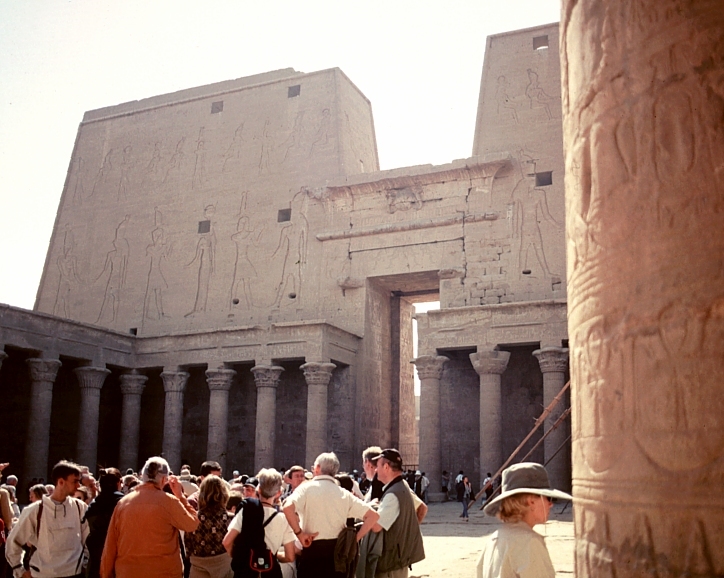 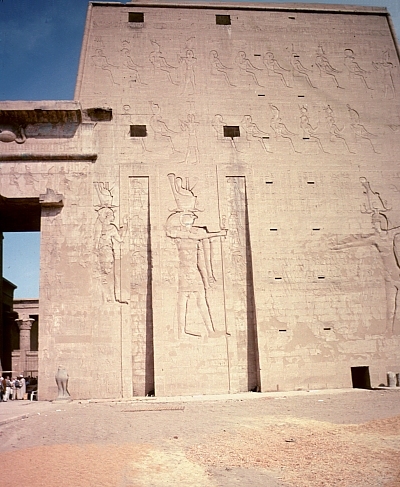 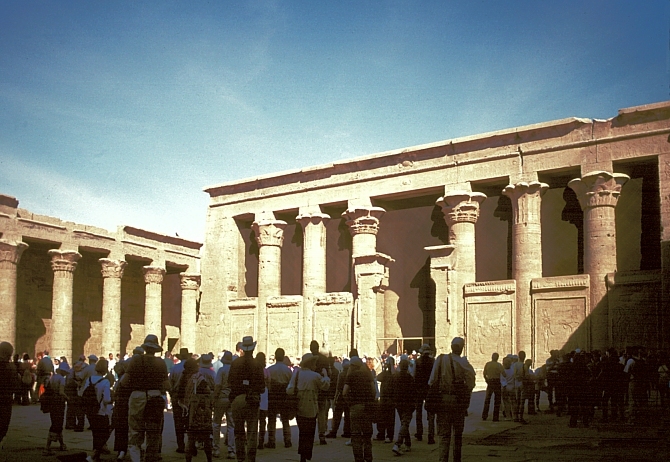 After Karnak, it is the second largest temple in Egypt; it is also one of the best preserved. 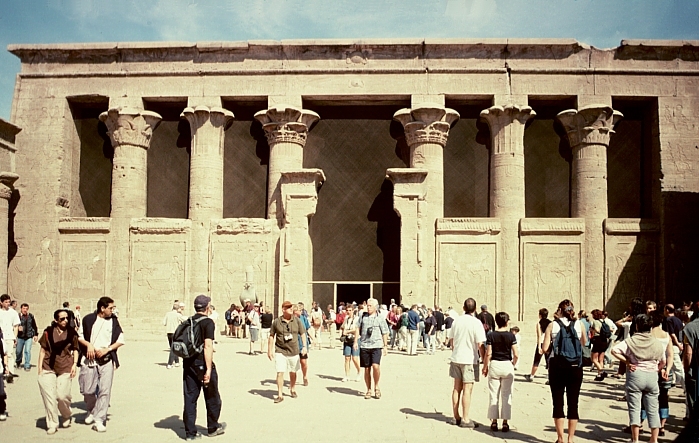 Construction began under Ptolemy III Euergetes in the 3rd century BCE but the temple was not completed until the 1st century BCE. 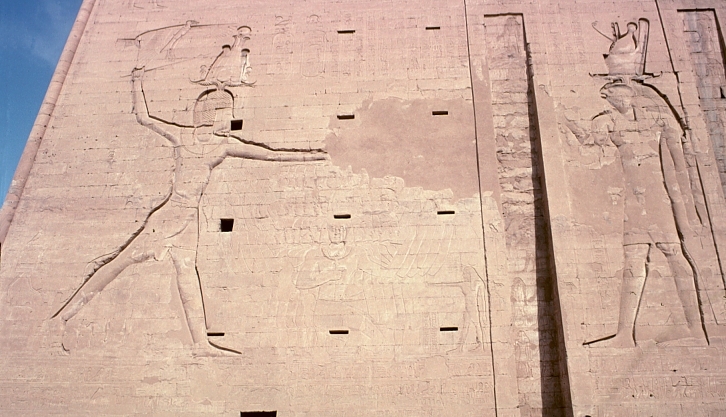 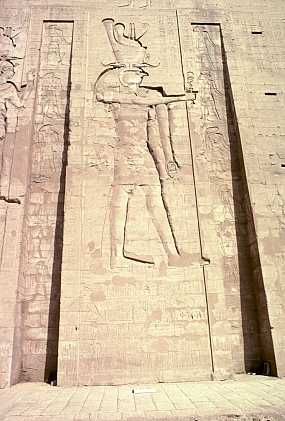 Reliefs depict Ptolemy XII in the traditional pose smiting his enemies. 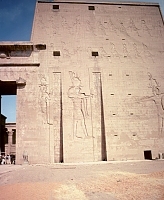 Masts with banners were once mounted in the deep grooves of the entrance pylon. 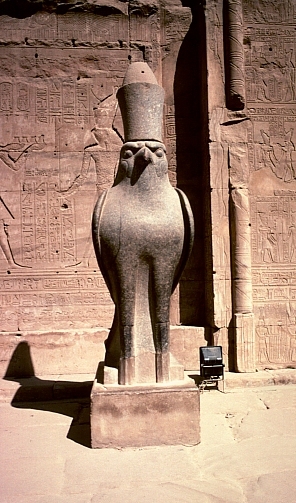 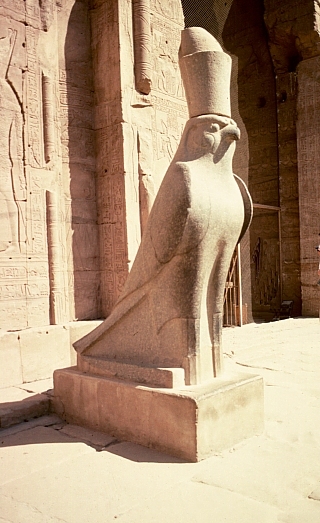 A pair of granite sculptures of the god Horus once flanked the entrance; today the remaining statue is a favorite of tourists.